I saw lots of people bemoaning the toughness of the draw but don’t we want to be in the UEFA Champions League? That is a stronger competition so we would have to face top sides then and without that experience it would be a waste of time. To go far in Europe experience is vital but I do feel as though under Roberto Martinez, Everton are better equipped to deal with the change in style that European sides offer. For instance we certainly will not give the ball away as much as we once did and that will allow us to have greater control over the games than we probably have had before. The other big thing for me is the strength of the squad now. Under David Moyes we often had 12/13 players but no real depth, particularly in front positions and although we could do with a few more we do have a much stronger squad now. Take the striking positions, at one time we had Victor Anichebe, Andrew Johnson and James McFadden and now we will embrace this competition with Romelu Lukaku, Steven Naismith and Samuel Eto’o ! Not to mention Arouna Kone if he ever gets himself match fit. The midfield areas are as strong as I can think of since the mid 80s with James McCarthy, Gareth Barry, Muhamed Besic, Darron Gibson, Ross Barkley, Steven Pienaar, Aiden McGeady, Christian Atsu and Leon Osman , that is some options for Roberto Martinez to play with when choosing his best ‘horses for courses’ team for different games. With the strength of our squad, I fancy us to win all of our home games and that would leave us only needing a point in my opinion to get through on 10 points. Add the squad strength to the amazing support that the fans will give the team on the road and I think it makes Everton a very tough proposition for everyone and that fills me with great confidence that we will progress from the group stages. The excitement around the draw just shows how different an experience it is being involved in European competition and one of the reasons I was delighted that we qualified for European competition last season. What we need is a run of a few years playing in Europe to improve our co-efficiency points for future draws as well as building our brand around Europe which also helps with sponsorship etc which in turn can give us more disposable income to buy players and improve the squad which is what it is all about. 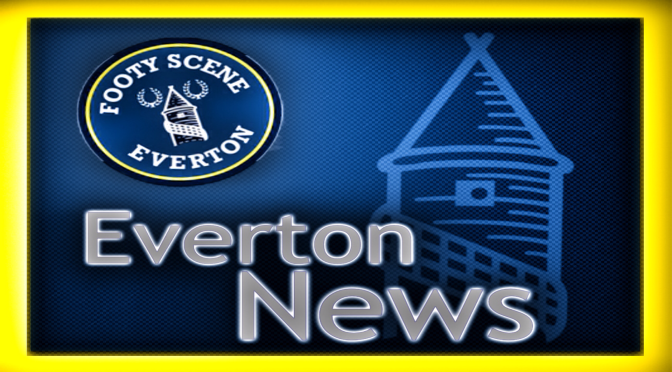 As far as this season, we have as Evertonians been disappointed to have dropped 4 points in our opening two games as we have been in control of both games but have let them slip. At Leicester for 45 minutes we controlled the game and scored two excellent goals, then in the second half dropped off as it was so easy but allowed them to equalise with a few minutes to go. Then against Arsenal we controlled the game for 75 minutes before our energy levels seemed to evaporate resulting in us conceding two goals in the last 7 minutes. However, it is getting better and the fitness and sharpness will come and when it does we will be a team to be reckoned with again. This weekend sees the visit of Chelsea to Goodison in a fixture that we won last season. This time out Chelsea are a lot stronger and have had a year into Jose Mourinho’s philosophy but I am still confident Everton can beat a side that I see finishing in the top 2 places in the division. At home Everton are a tough prospect for anyone and I feel that with the fitness improving weekly we can put in a top display and earn the three points that we have deserved in our opening two games. This week we have added former Chelsea striker Samuel Eto’o to our ranks and he improves our options in the final third. Eto’o certainly wasn’t my first choice as I wanted Loic Remy as I seen him as a longer term option and knew that Eto’o signing would end any Remy hope. However, since Samuel signed for a much reduced contract, I am happy that he is a Blue and happy that we have a natural finisher on our books for the first time since I’d say Yakubu. Eto’o won’t run off the shoulder of people with his devastating pace of say 7/8 years ago but he will give us movement in and around the box and will score goals if we create chances for him. He’s cost nothing and will be a great teacher for the likes of Romelu Lukaku and young lads such as Chris Long who will be studying every action he makes in training. Anyway, that’s enough of my rambling for this week. Let’s hope that the Blues kick off this weekend with a bang by beating Chelsea. Then onto the last 48 hours of the transfer window and the sale of Shane Duffy to Blackburn might now result in Roberto bringing someone else in on deadline day ! !